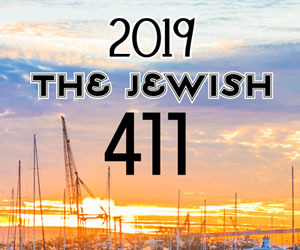 “Kosher dining is a problem in San Diego.” Those were the first words out of the mouth of Chabad Downtown’s Rabbi Zalman Carlebach, as soon as we began our conversation. Established in 2005, Chabad Downtown provides Shabbat dinner for visitors and the local Jewish community and partners with a caterer to prepare kosher meals during the week. The organization also hosts catered events in their 7,000 square-foot space. Since there aren’t any kosher restaurants in town, the rabbi considers the gathering space an important service. “We like to provide an elegant dinner. What we do is in response to our community,” Rabbi Carlebach emphasized. The first kosher tablecloth restaurant in San Diego, Sheila’s Café and Bakery, opened in 1990 and closed about twelve years ago. At 80, former owner Sheila Lebovitz, the “bubbe of San Diego,” still caters kosher meals for visiting families. She and her husband, who previously owned Chicago-style hotdog stands, were inspired to open the café after an aunt passed away and there was no facility that could provide food for shiva. A family with five young boys from Los Angeles with whom I am acquainted first drew my attention to the limited kosher dining options in San Diego. When they drive down to visit grandma and grandpa, they make sure to fill up at Chabad of La Costa, which offers kosher-to-go if ordered at least 24 hours in advance. Chabad of La Costa also partners with the nearby Omni to provide kosher meals and services with a special room rate. “We had 400 nights booked last year. It’s one of the Omni’s most popular room rates,” said Nechama Eilfort, wife of the rabbi and a mashgiach at La Costa. 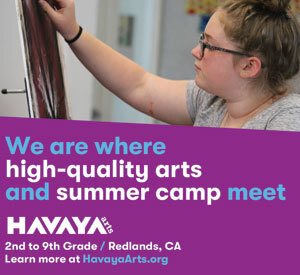 In the summer Chabad of La Costa offers barbeque on Sunday evenings and steak night on Thursdays. Beth Jacob on College, where veteran kosher caterer Charles Rubin keeps his kitchen, cooks up Kosher Pizza Night on intermittent Thursdays. On a cold Thursday night in February, about 20 members of the Silverman family warmed up a corner of the temple’s multi-purpose room. “This is about as big as it gets,” said Moses Hernandez, who cooks for Rubin and runs pizza night with his wife and daughter. Cheese pizza, fish n’ chips, and fish burritos are on the menu. Summer brings tourists and visitors, enough business for Rubin to keep Moishe’s Grille open for customers to dine al fresco on Beth Jacob’s patio. In La Jolla, Ralphs Kosher Experience is the go-to for kosher catering and takeout. From sushi to Thanksgiving dinner, rabbis supervise preparation at the supermarket’s designated kitchen. The Place Café at the Jacobs campus JCC serves Israeli-style fare in a very casual dine-in setting. The SPICE counter at UCSD’s OceanView dining hall, with a view of the Pacific, is the newest kosher dining venture in town and first in the UC system. Opened two years ago in response to requests by student groups, the kitchen serves up kosher and halal with international flavors. 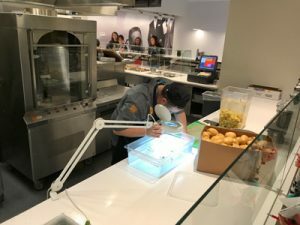 Many of the customers choose SPICE counter for the “fresh and healthy food, they don’t realize it’s kosher,” Rabbi Eddie said while inspecting a batch of broccoli rabe for bugs under ultraviolet light. But word has gotten out to the community, including the family with five young boys. “We get Jewish visitors from Israel, Los Angeles, New York, all over,” said Rona, who works at SPICE. They serve about 300-600 people daily, and prepare sealed sandwiches for sale at other outlets on campus. Leo Acosta of UCSD Housing, Dining, and Hospitality, who helped organize operations and certification, said UCSB, UCLA and Berkley have contacted him about how to run a kosher/halal dining counter. 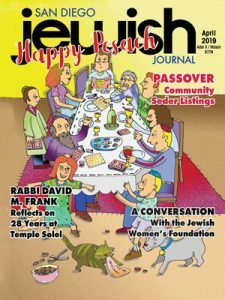 Rabbi Carlebach observes a growing interest in kosher dining in San Diego, and Lebovitz said that young people are more observant, but both acknowledge the difficult prospects for the kosher restaurant business.